After conquering the No.1 position in Australia with her recent single ‘FourFiveSeconds’ (alongside Kanye West and Paul McCartney), Barbadian pop goddess Rihanna is back with another new single. 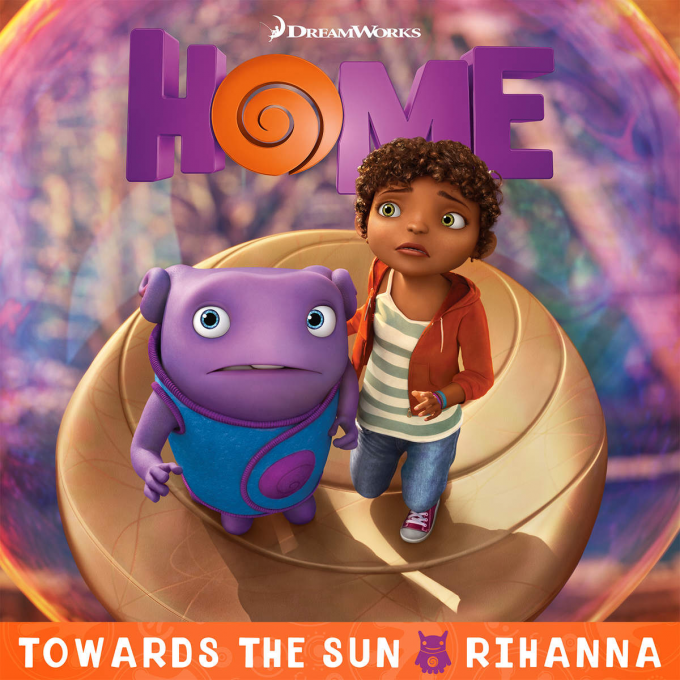 Still no mention of a new album to go with it at this point in time, however; the new track is called ‘Towards The Sun’ and it’s lifted from the soundtrack to the forthcoming Dreamworks animated flick ‘Home’. It’s not just the soundtrack Rihanna’s contributing her vocals to either. She plays one of the characters in the movie called Geraldine “Tip” Tucci (her character’s mother is played by Jennifer Lopez). ‘Home’ is due for cinematic release at the end of March; the single is at both radio and retail now.